Home of the Sparrow invites you to our Celebration of Women Luncheon! 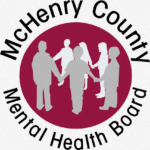 Please Join Us at McHenry County’s Human Race Fun 5k Run/Walk! To provide Hope, Opportunity and Support that empowers women and children as they journey from homelessness to self-sufficiency. To reduce homelessness among women and children through creative strategies and community partnerships, resulting in lasting self-sufficiency.